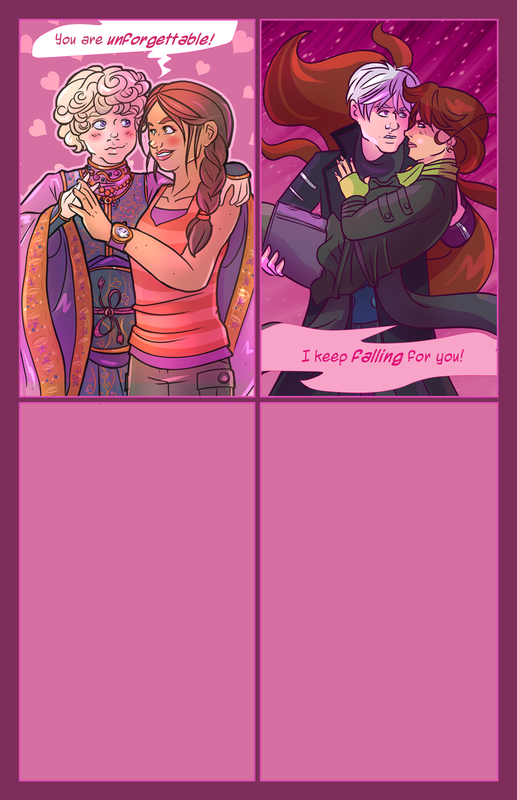 All weekend, between page work I will be sharing valentines featuring favorite reader and author ships and single characters from the comic. Check back on this entry and see if I can make it to at least 4! Stay tuned for cornball lines and cute fluff! Valentine 1: James Hartwell and Rory Perkins. Hmm ... what's up with them as kiddos? Not telling! Valentine 2: Gavin and Alexis. I'd be sorry but I'm not sorry.